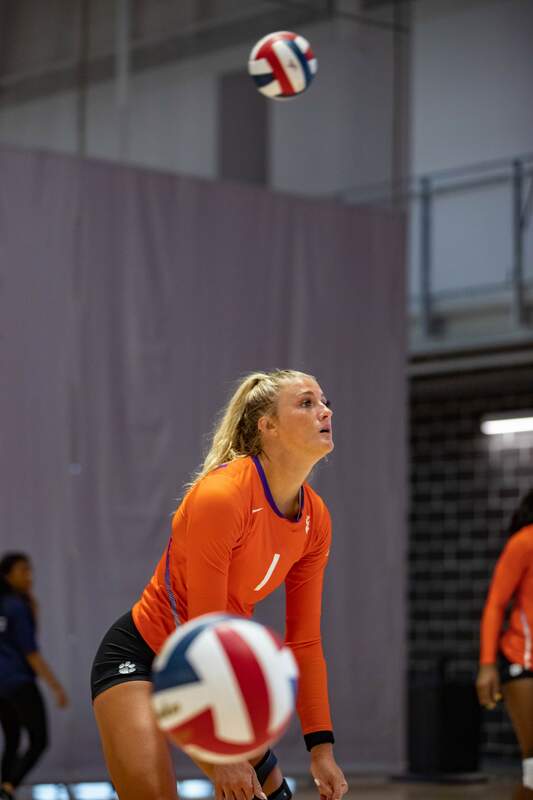 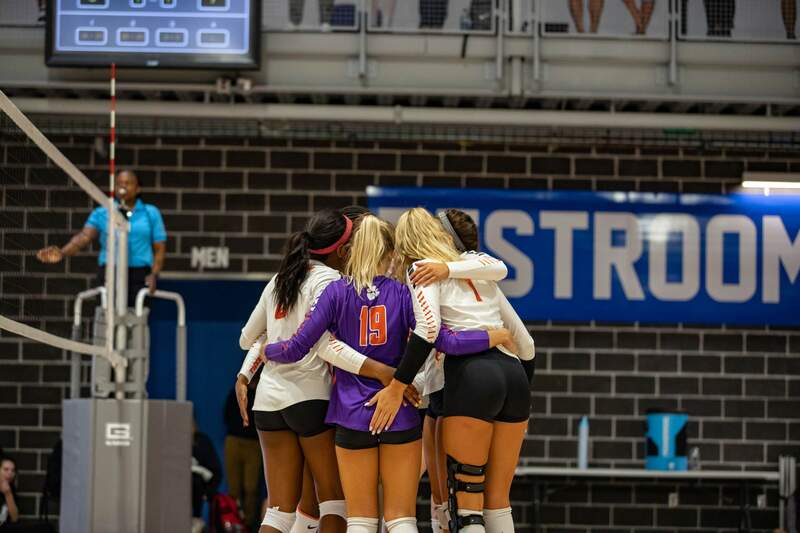 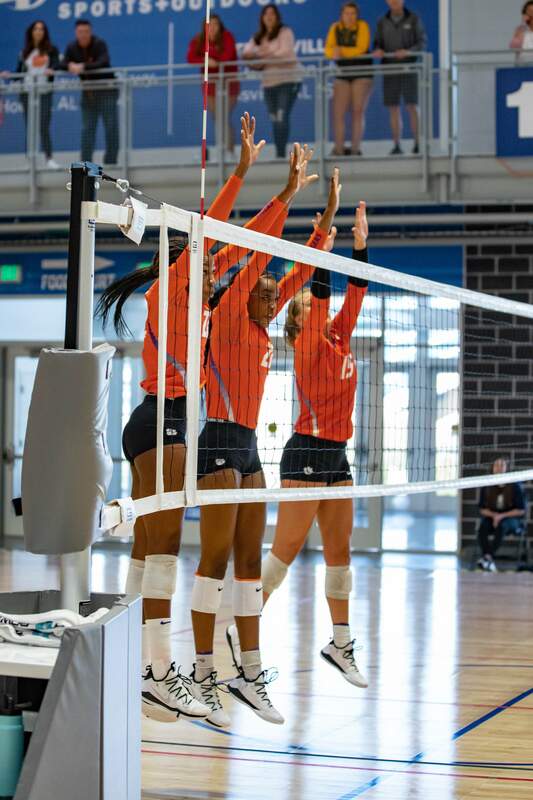 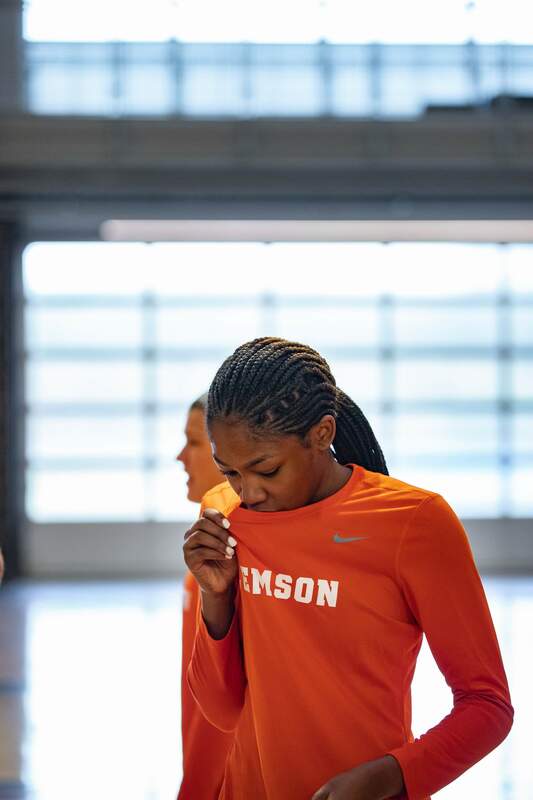 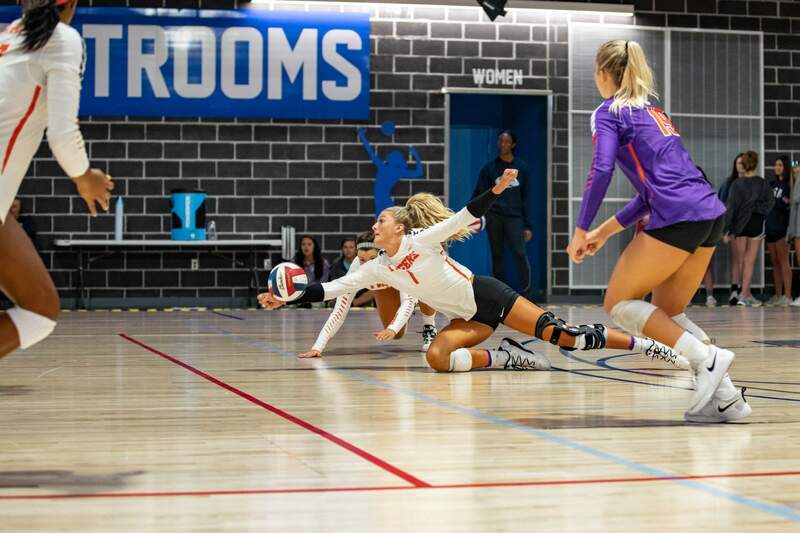 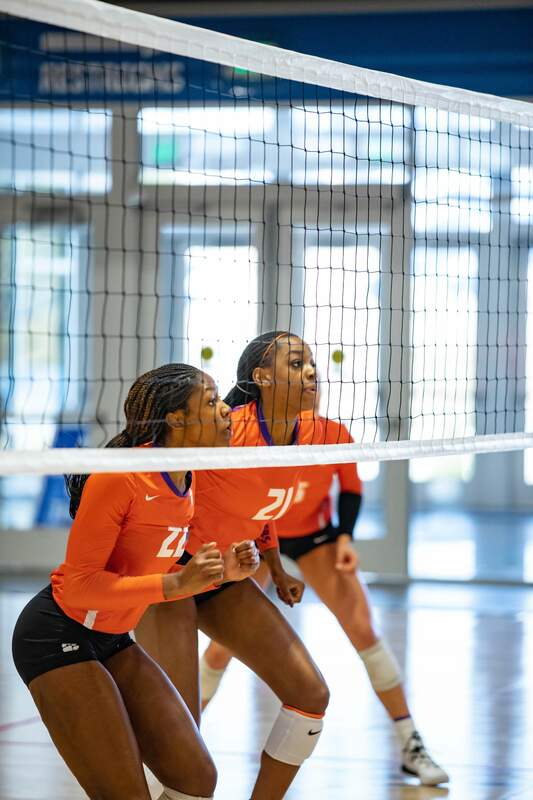 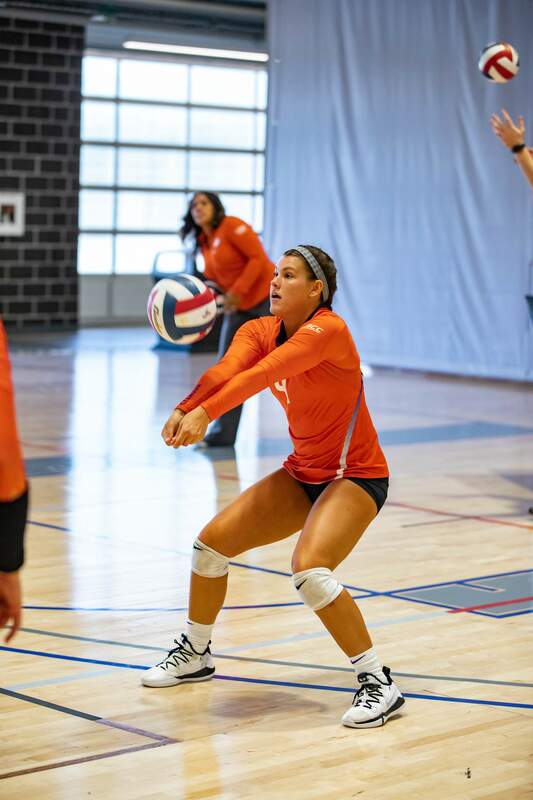 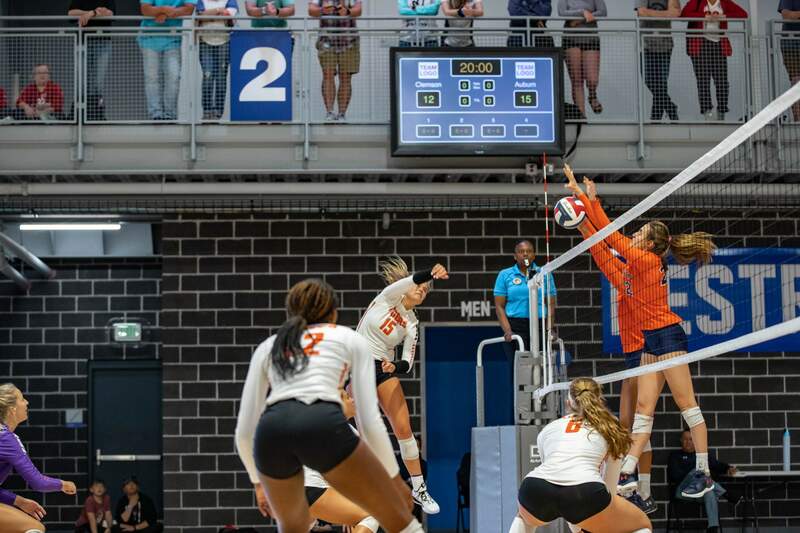 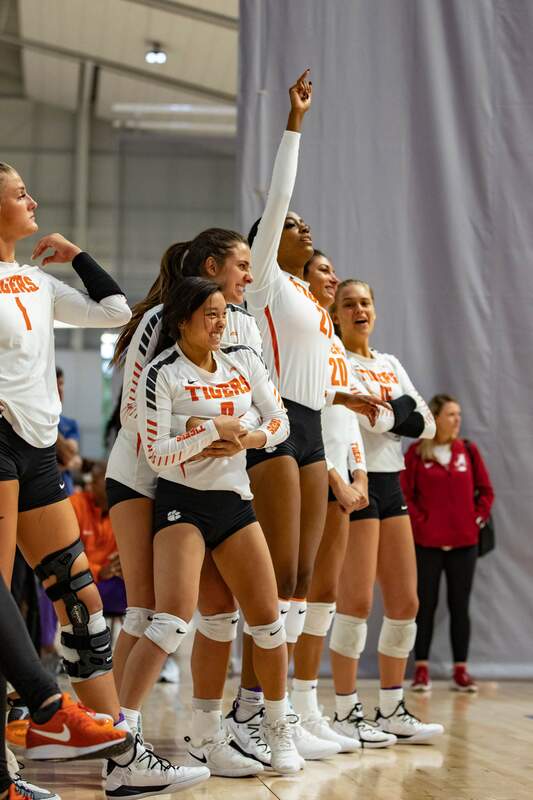 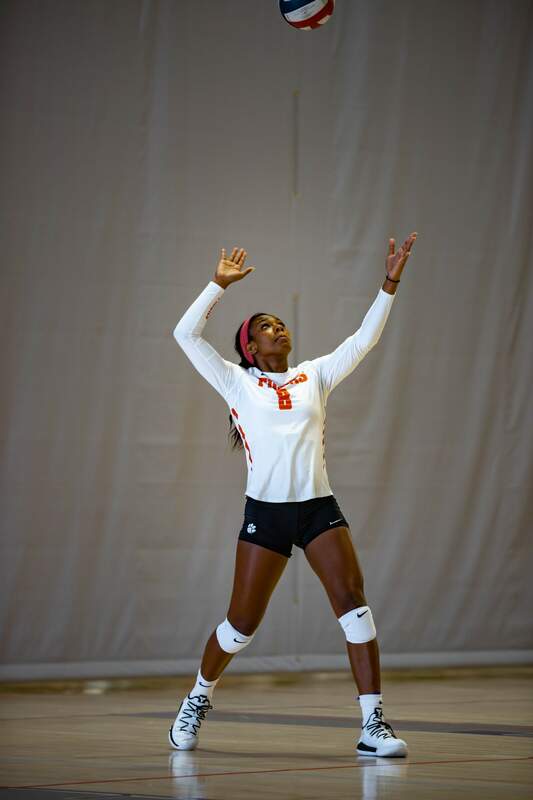 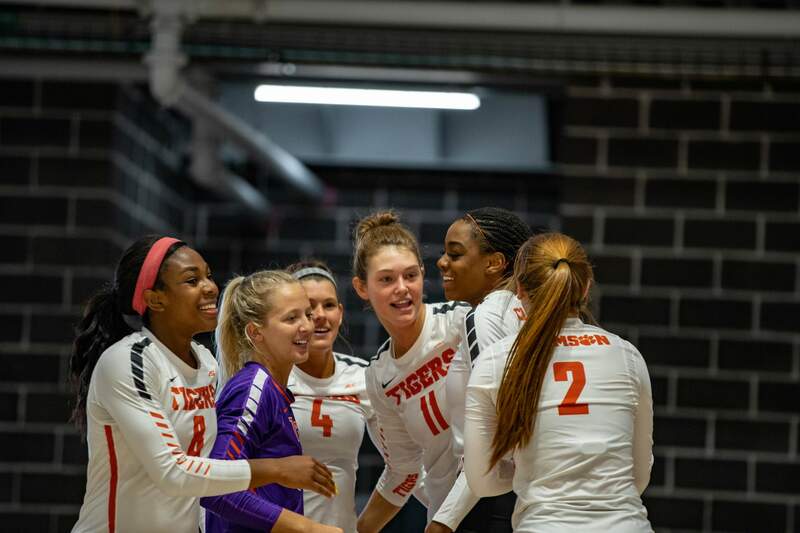 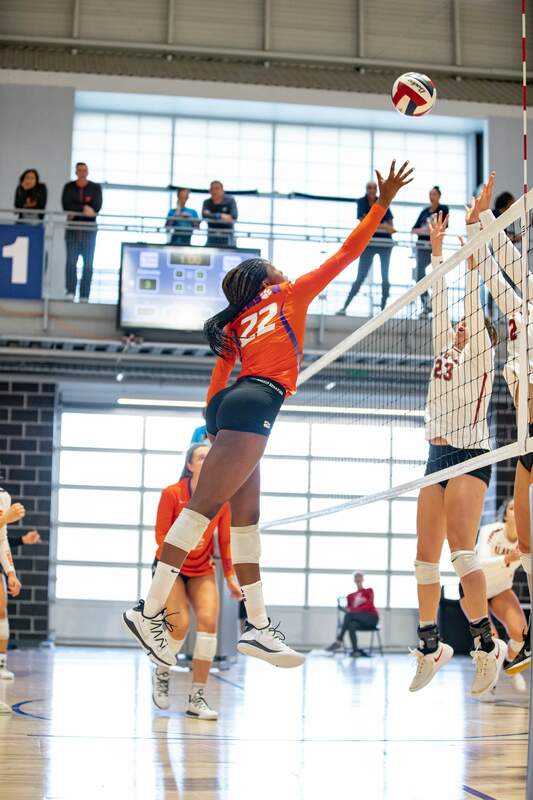 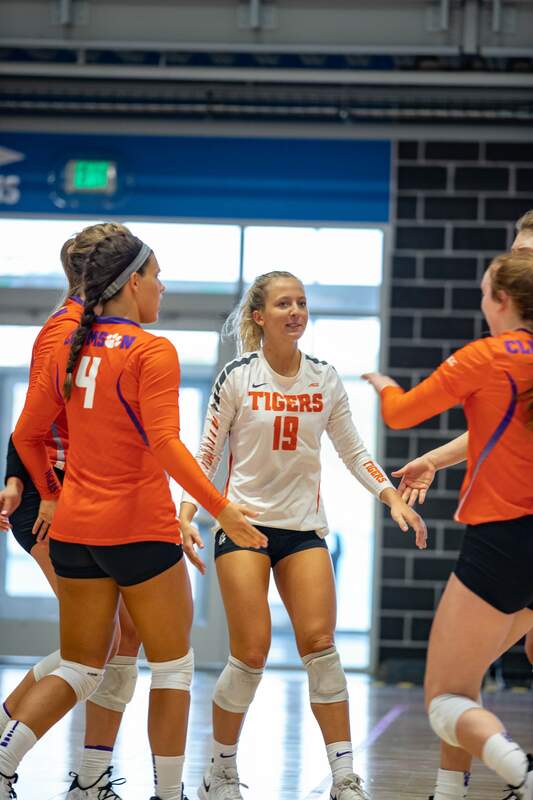 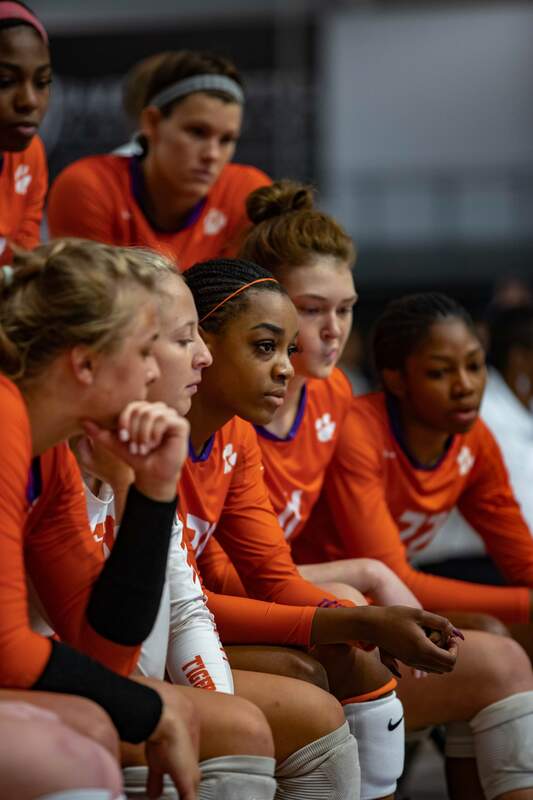 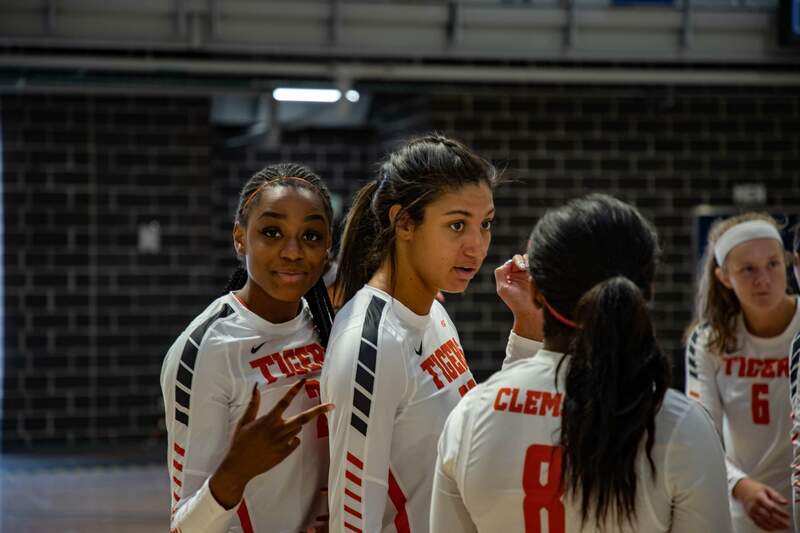 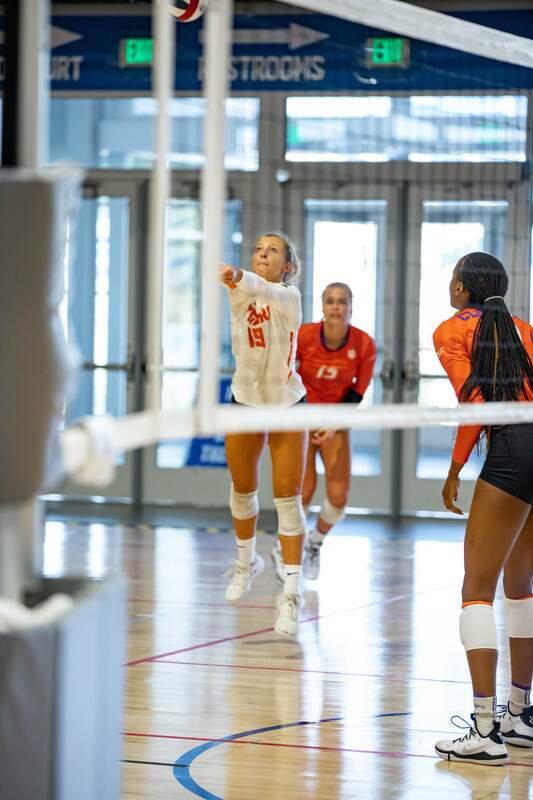 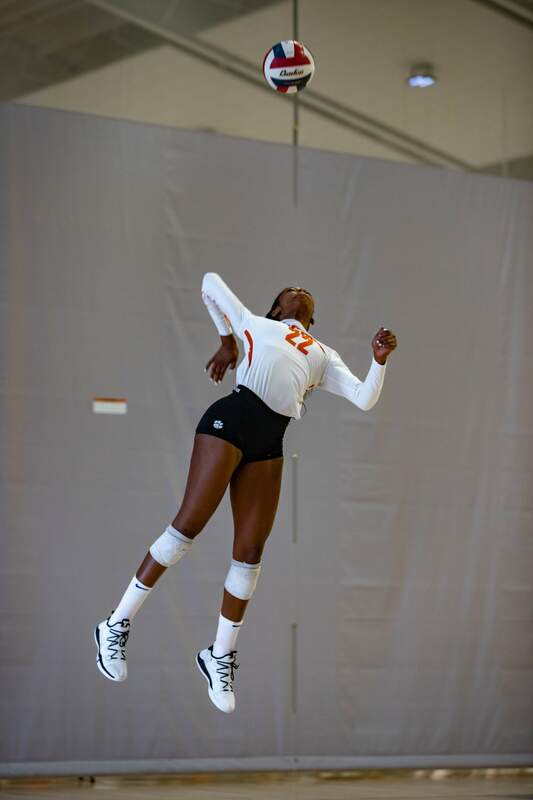 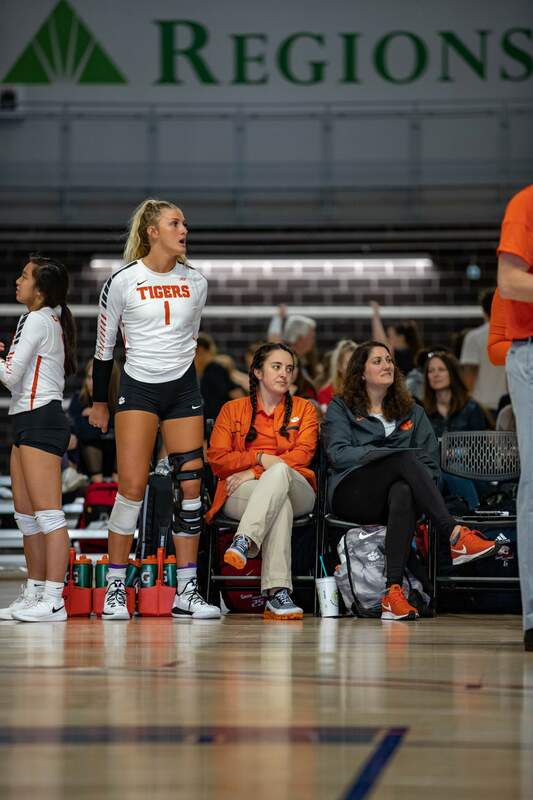 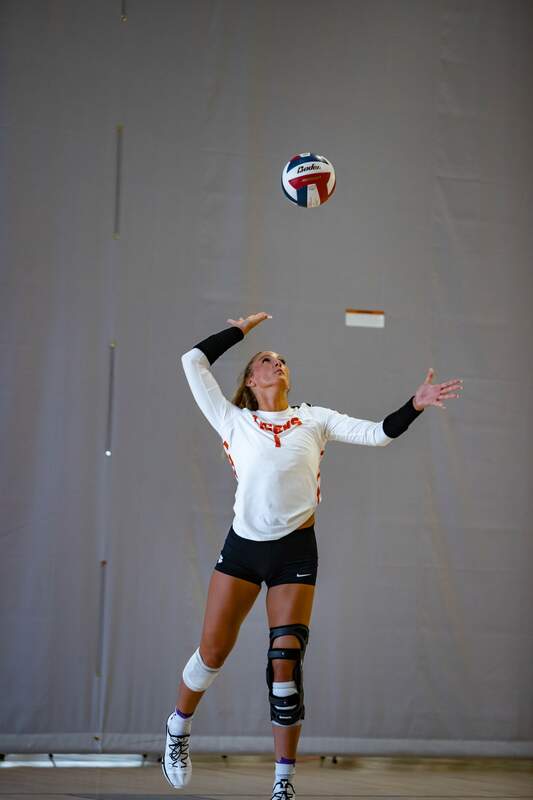 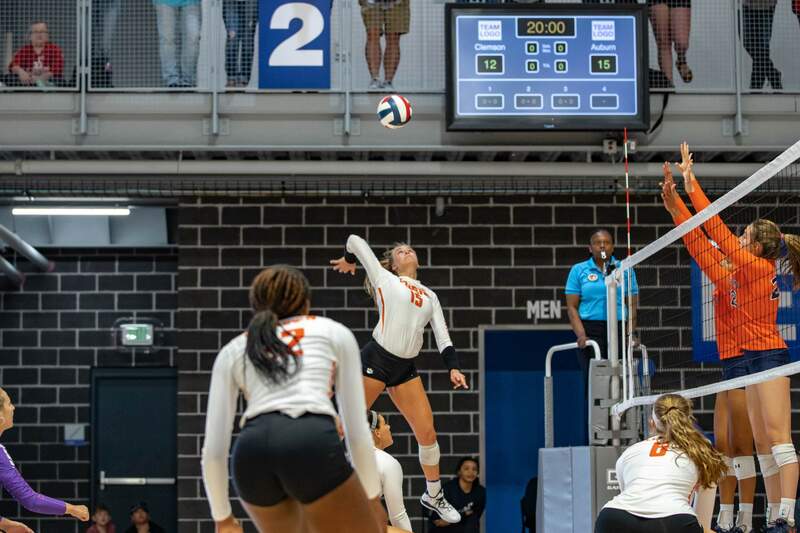 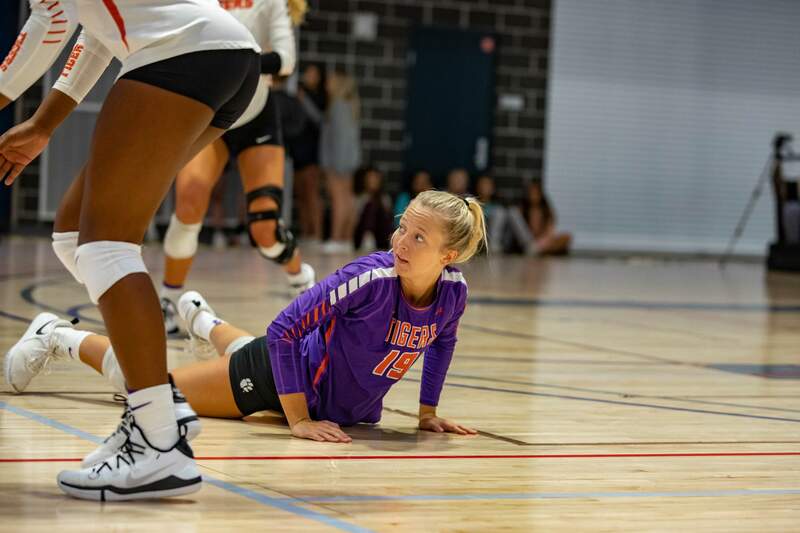 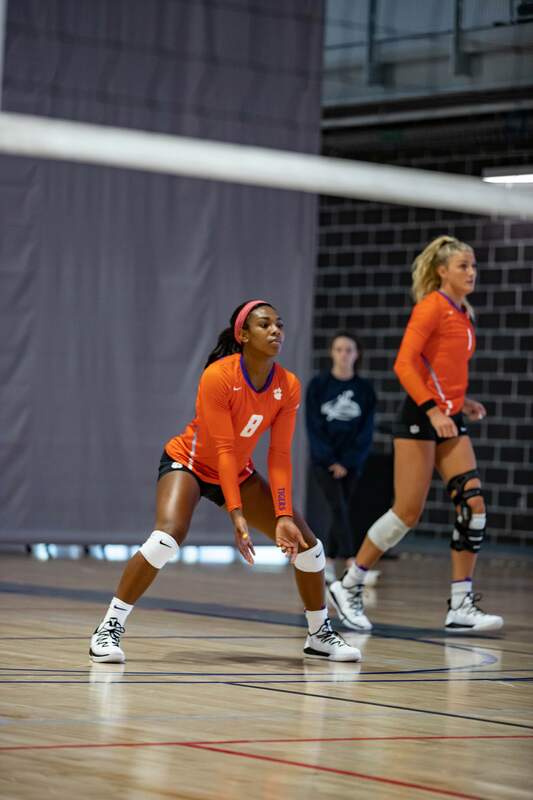 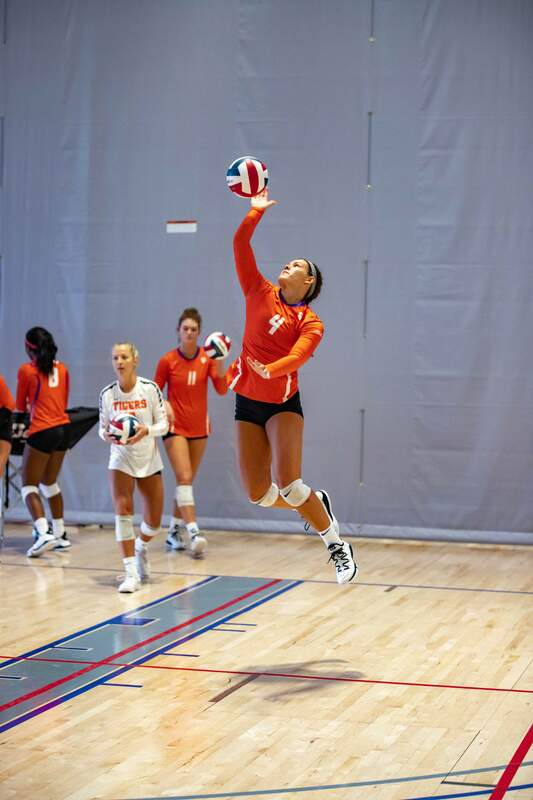 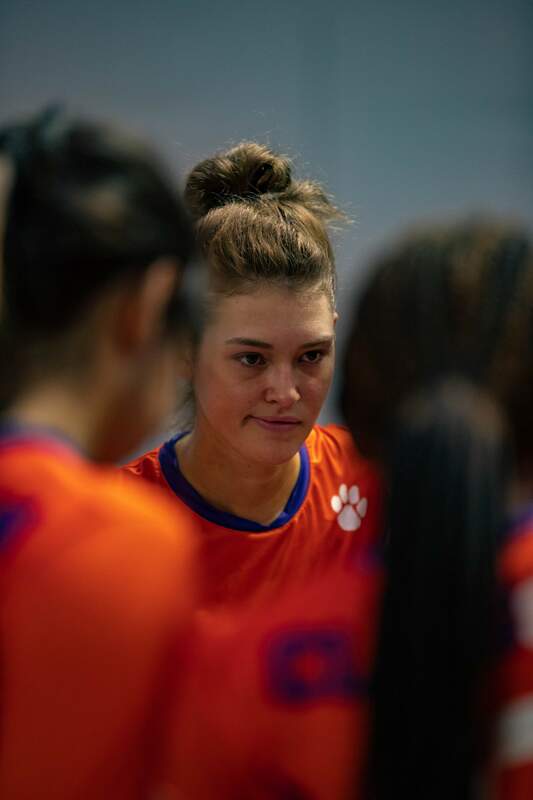 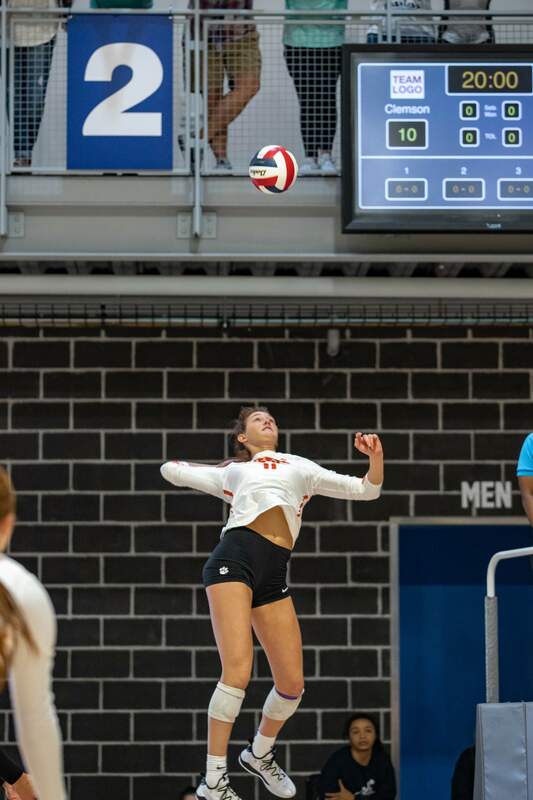 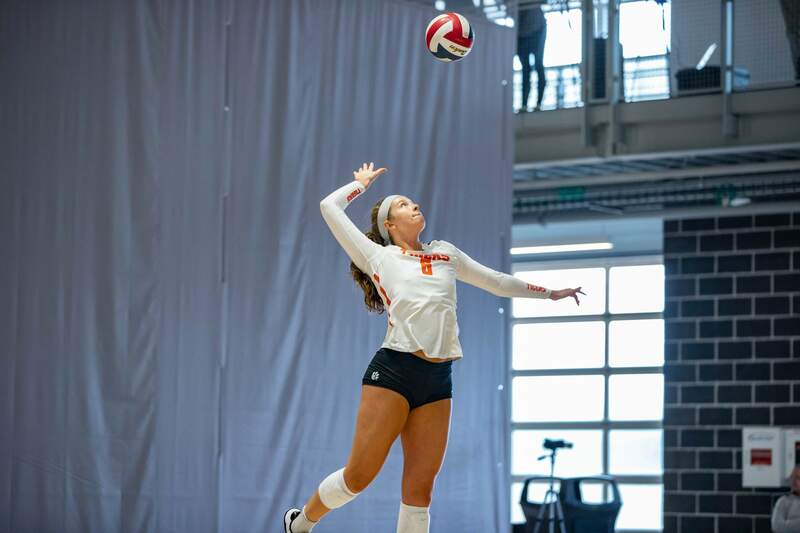 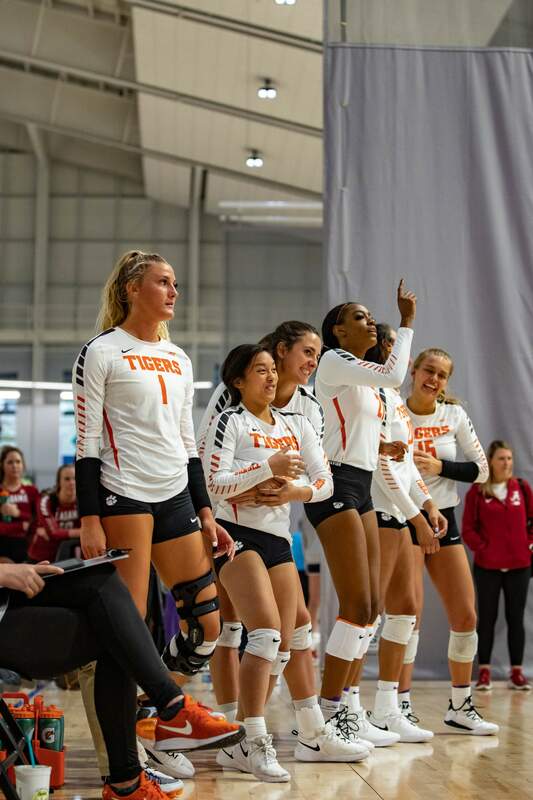 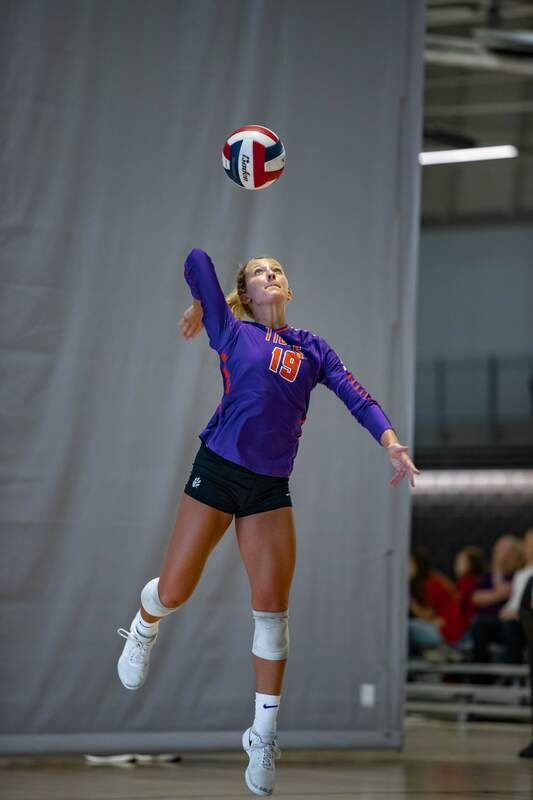 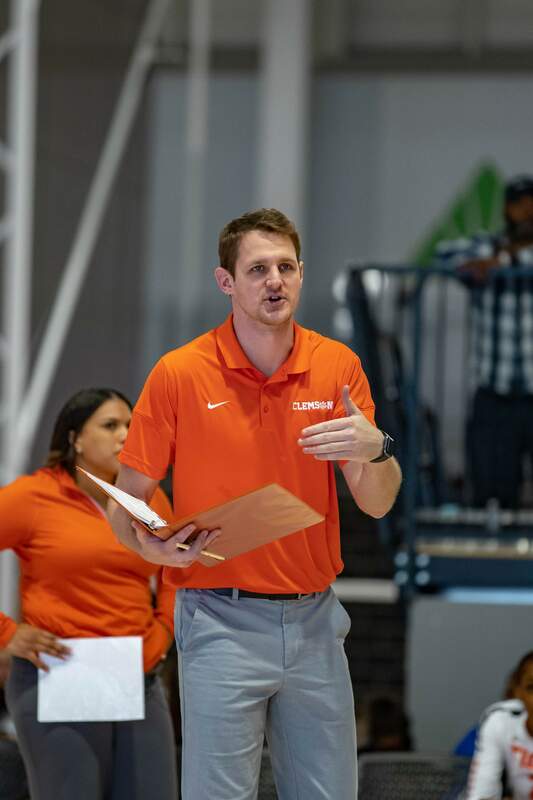 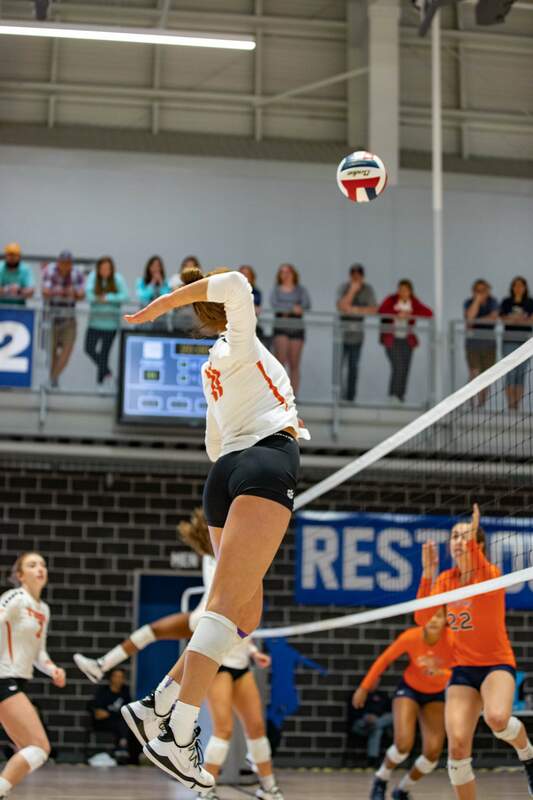 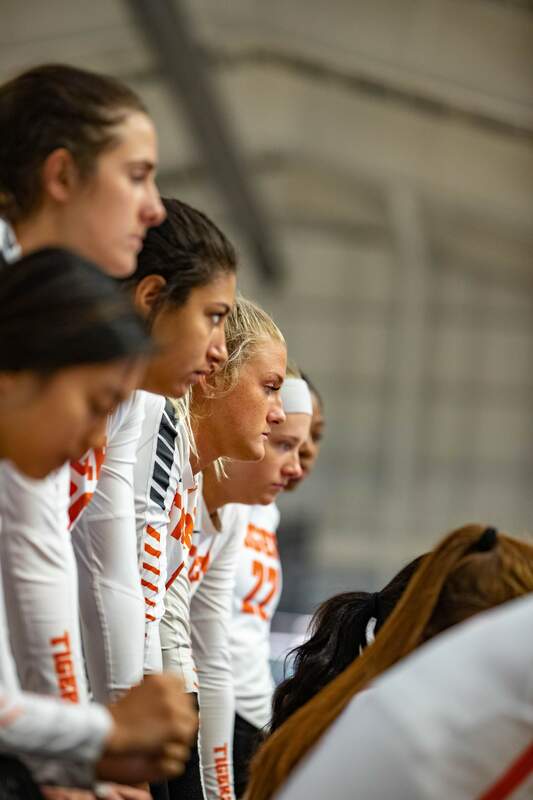 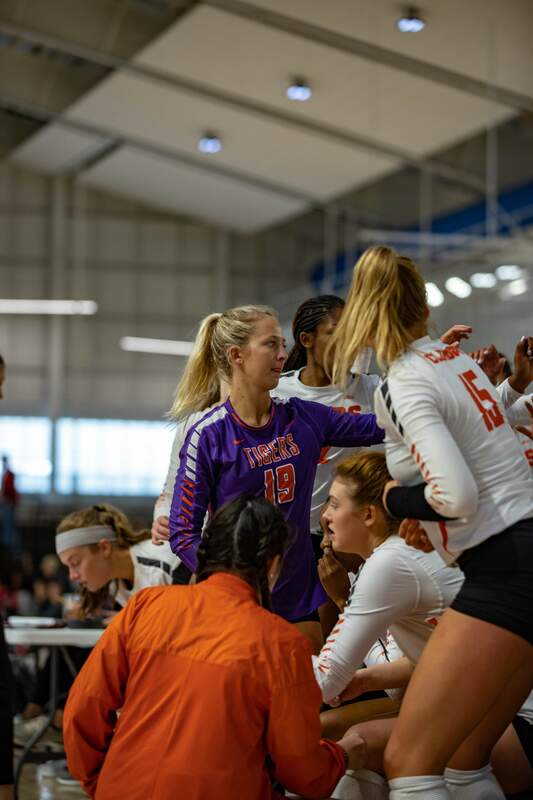 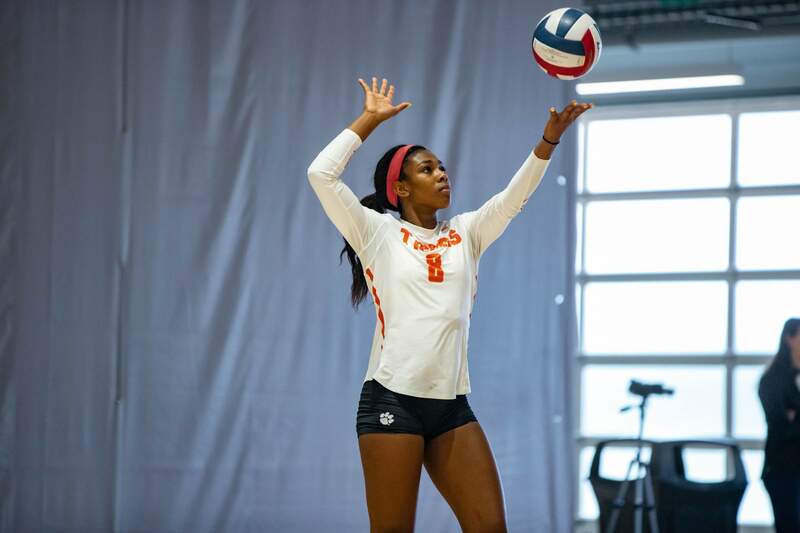 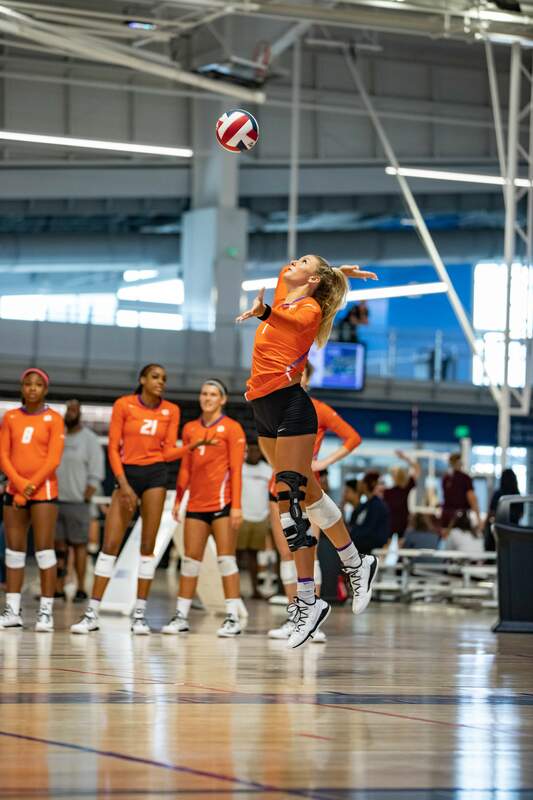 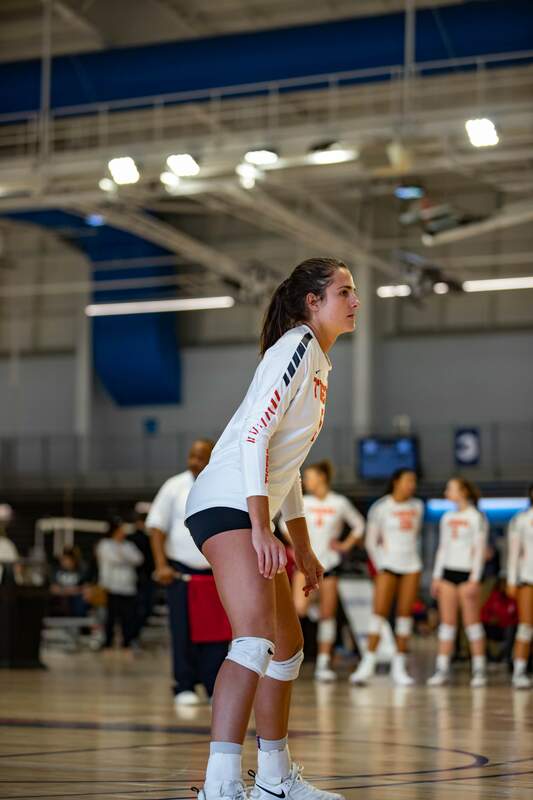 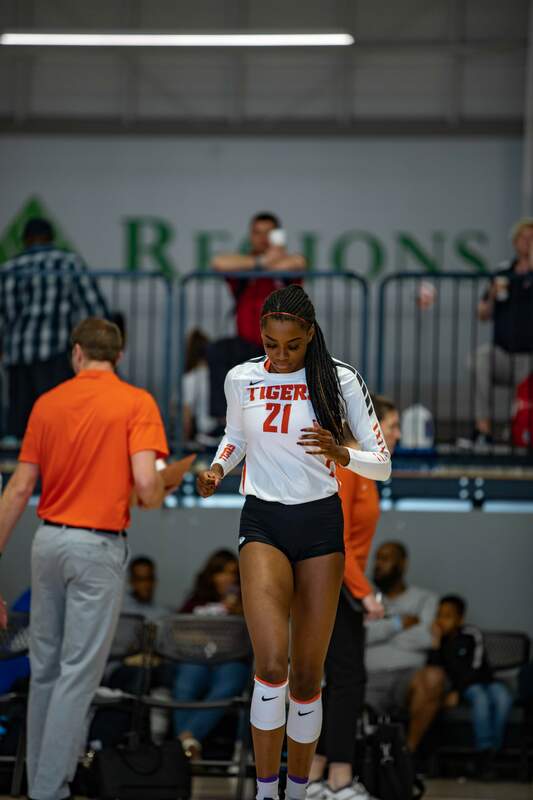 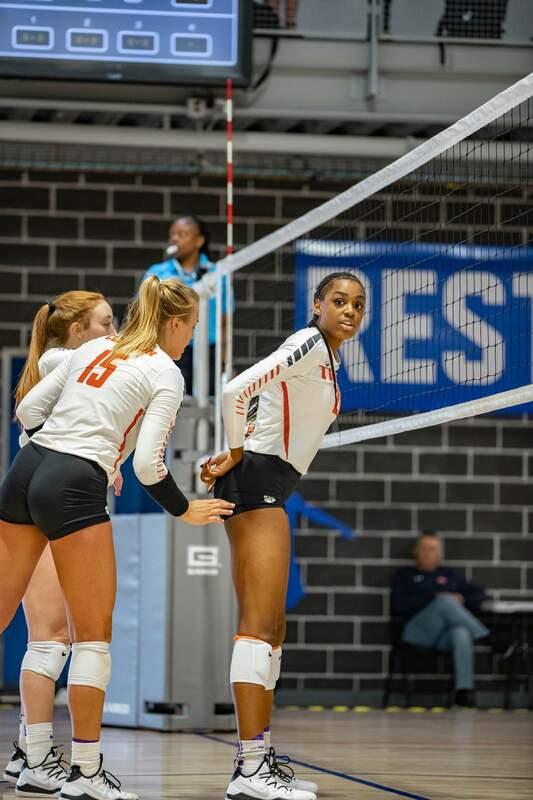 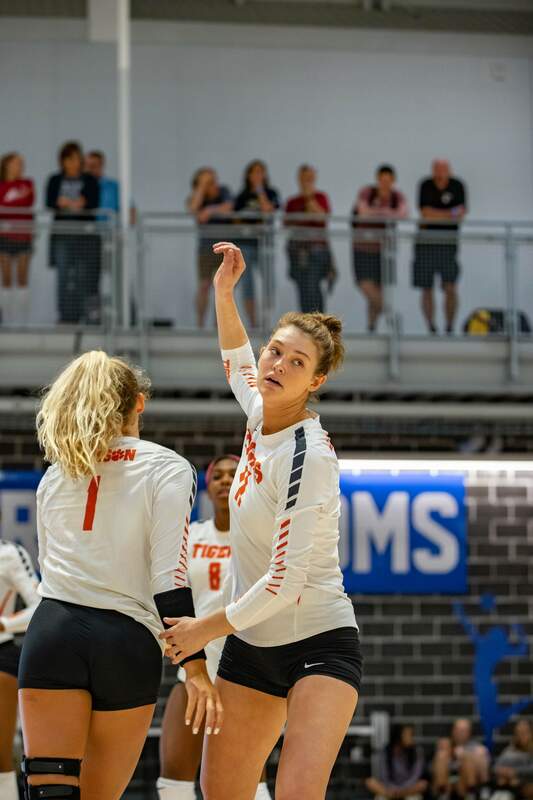 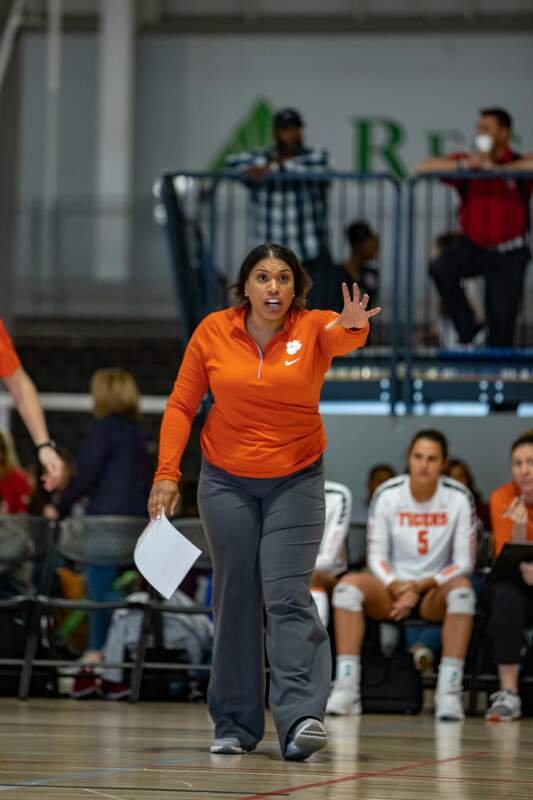 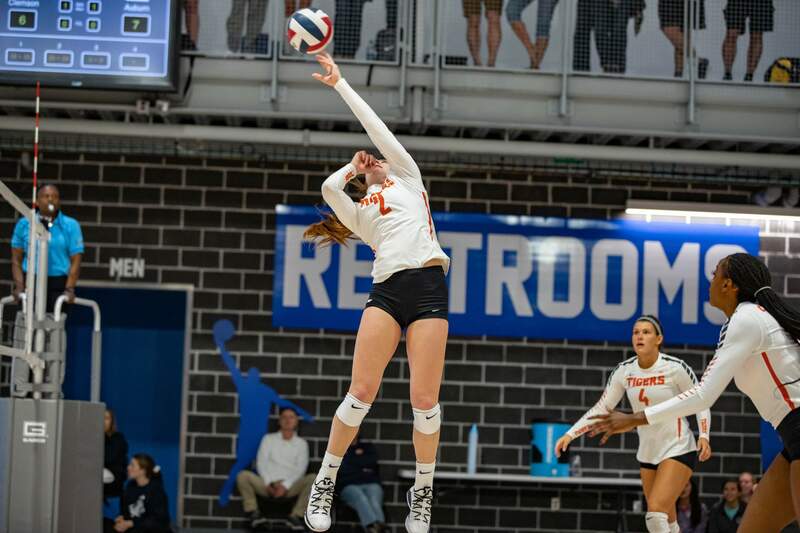 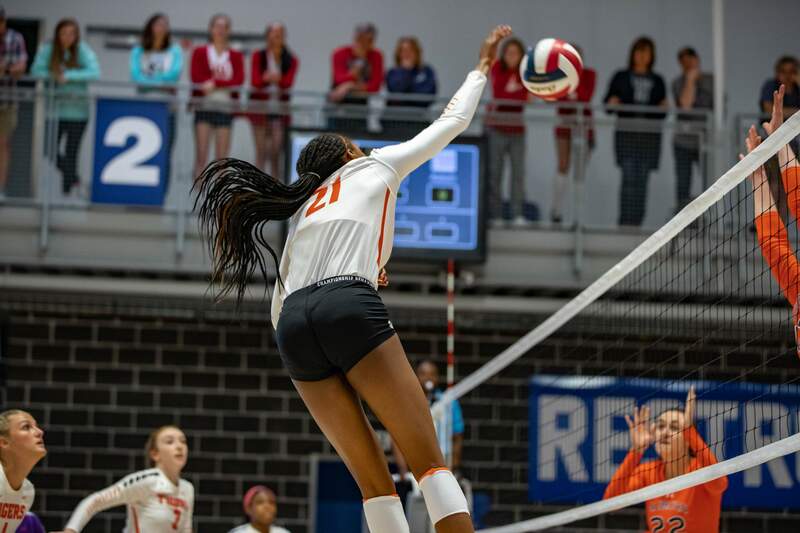 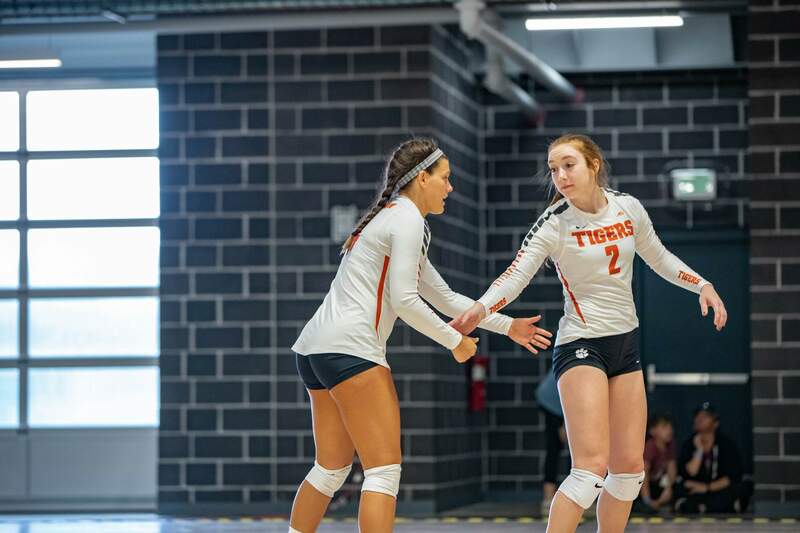 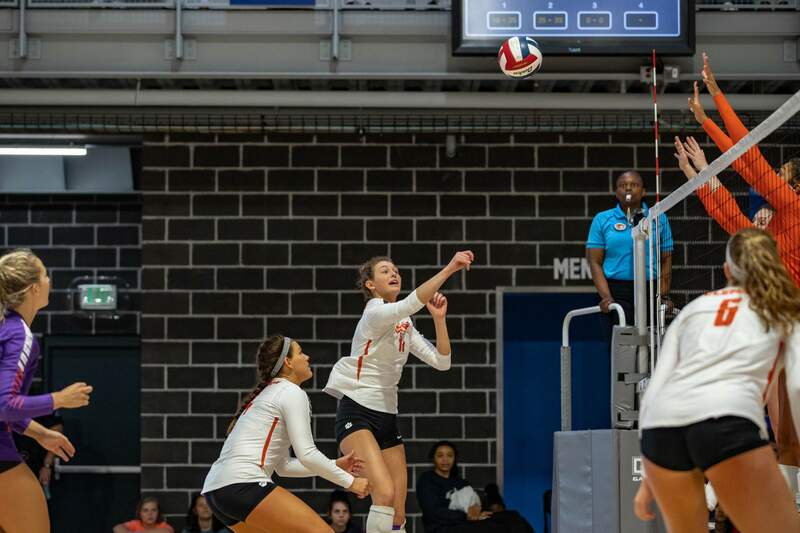 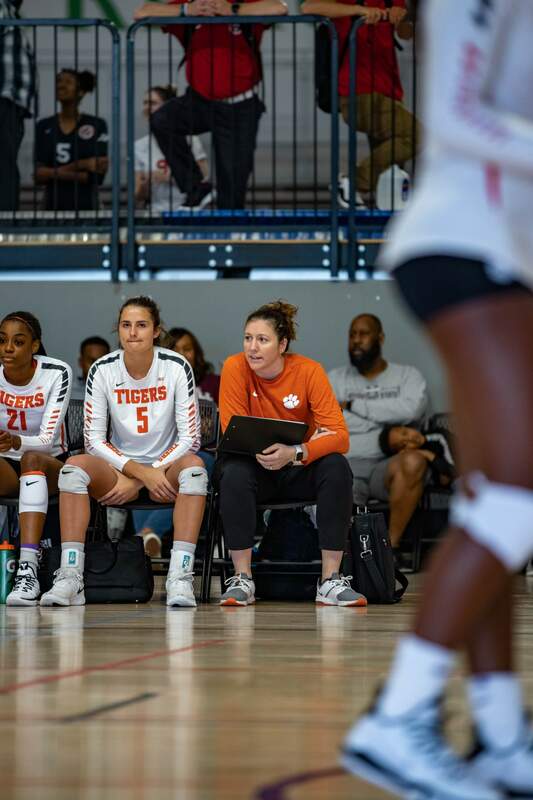 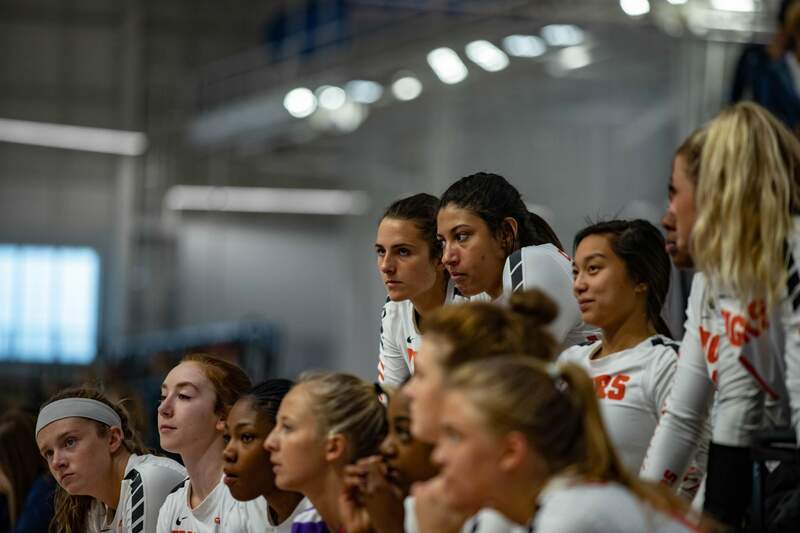 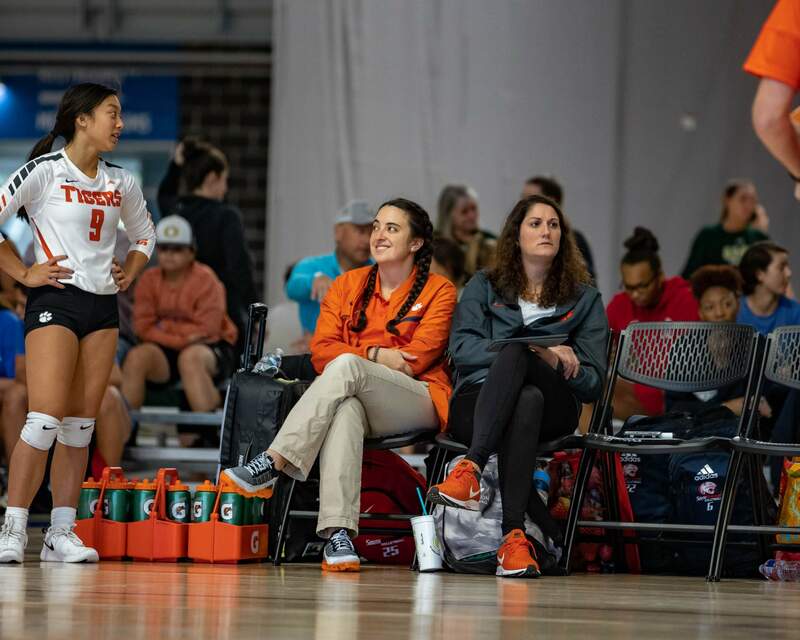 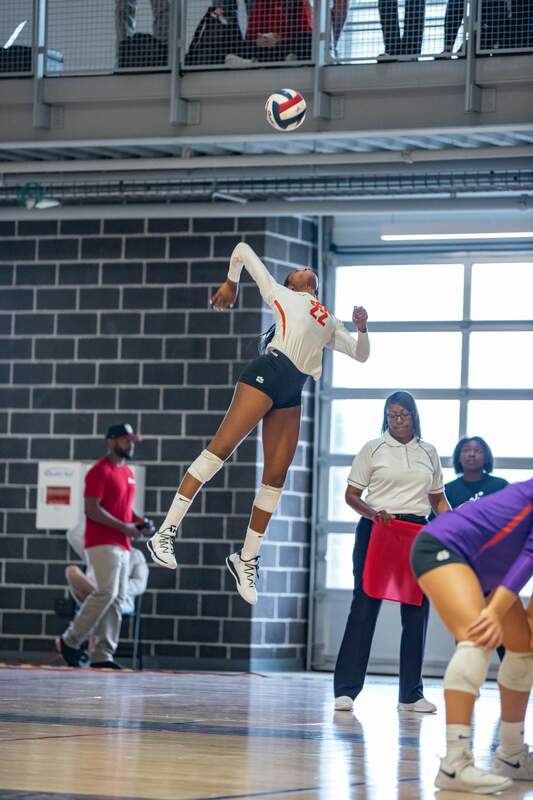 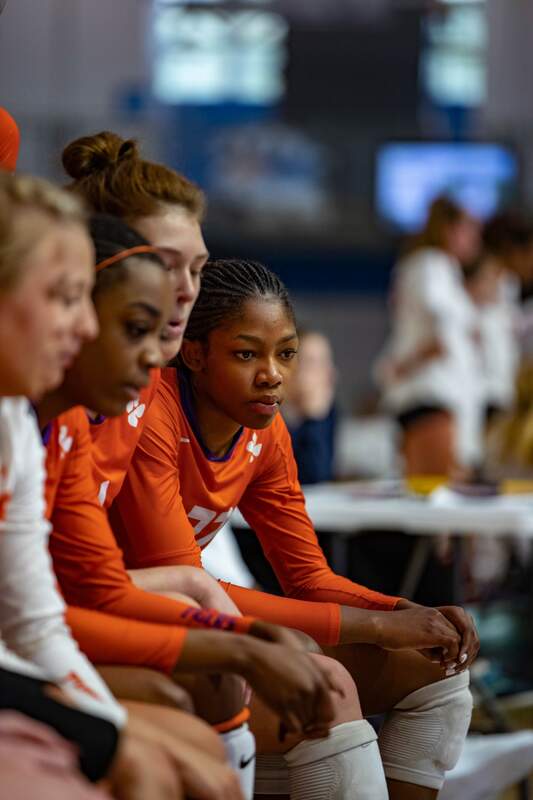 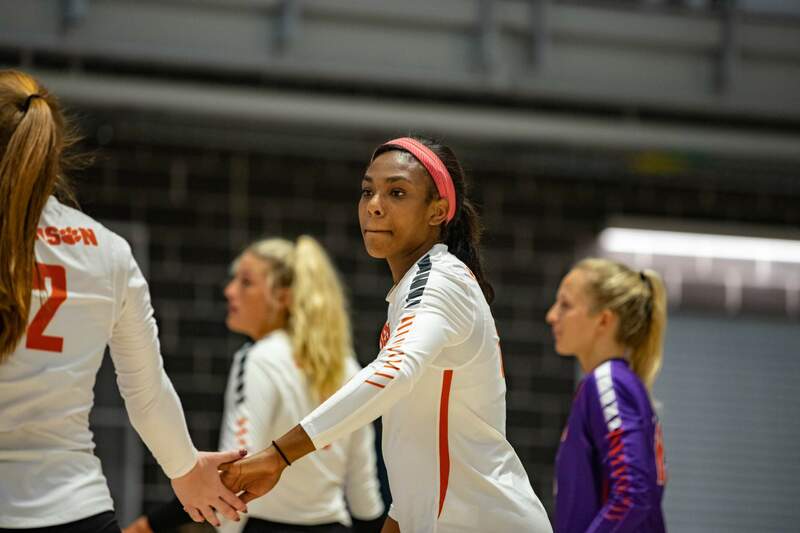 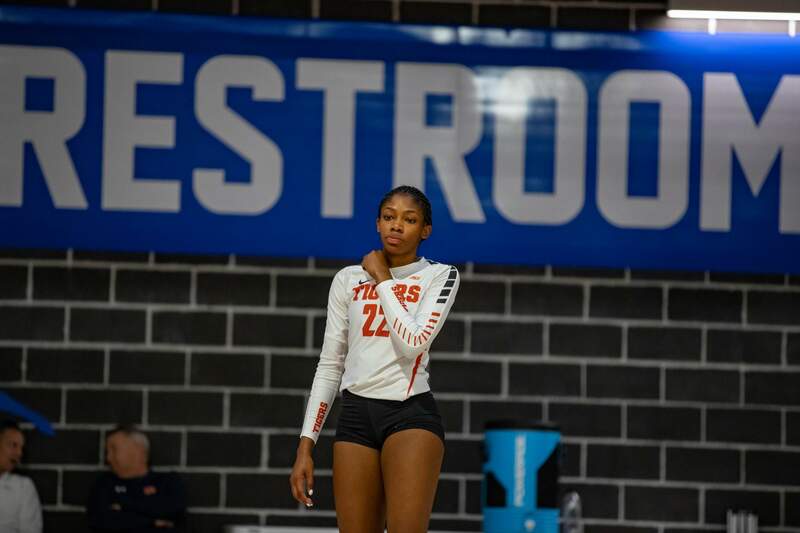 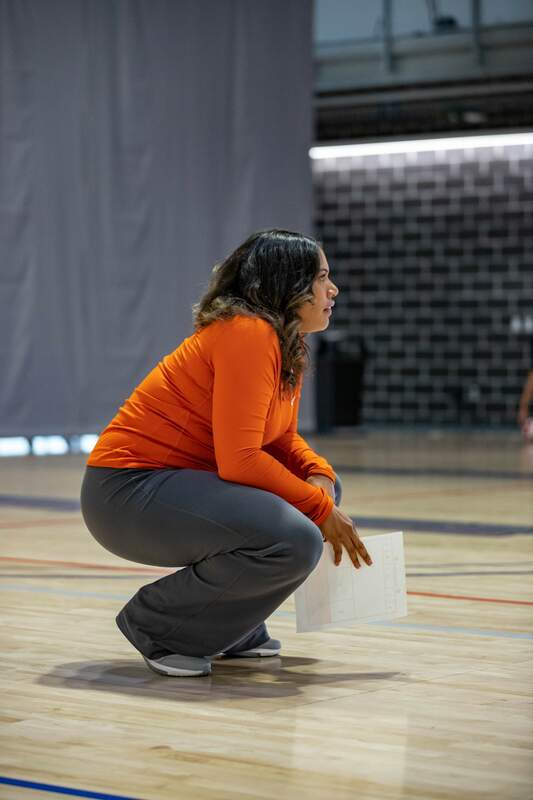 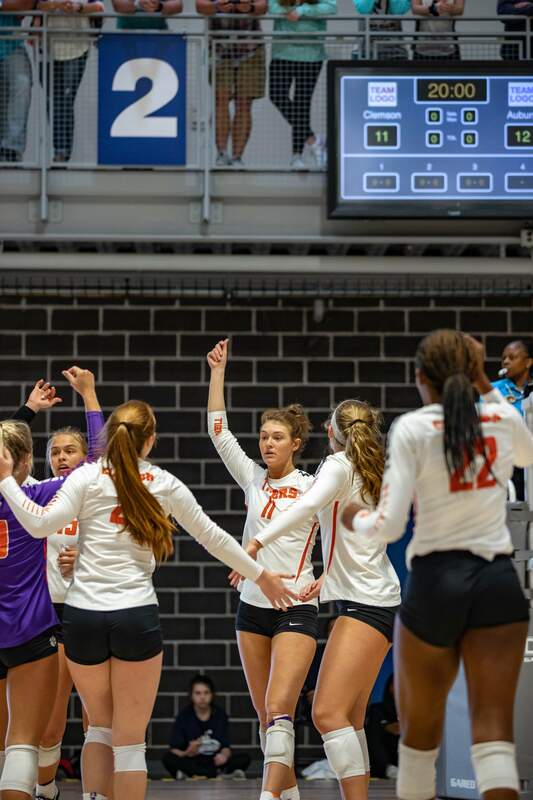 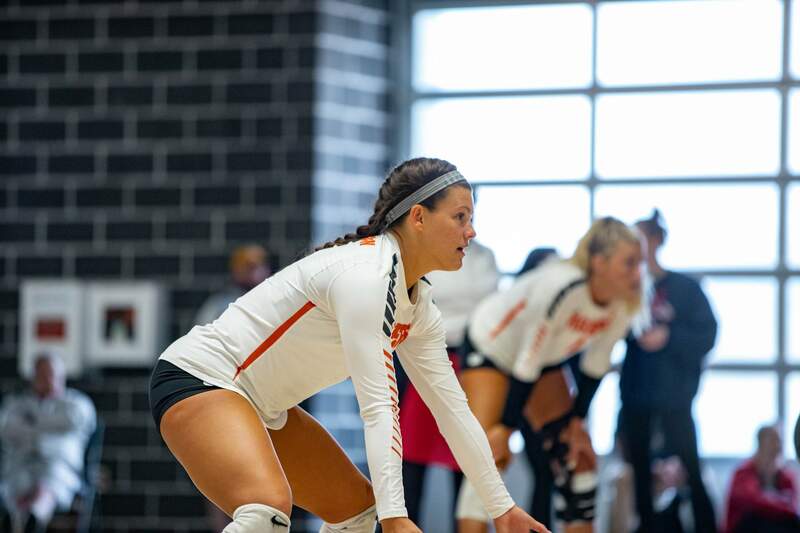 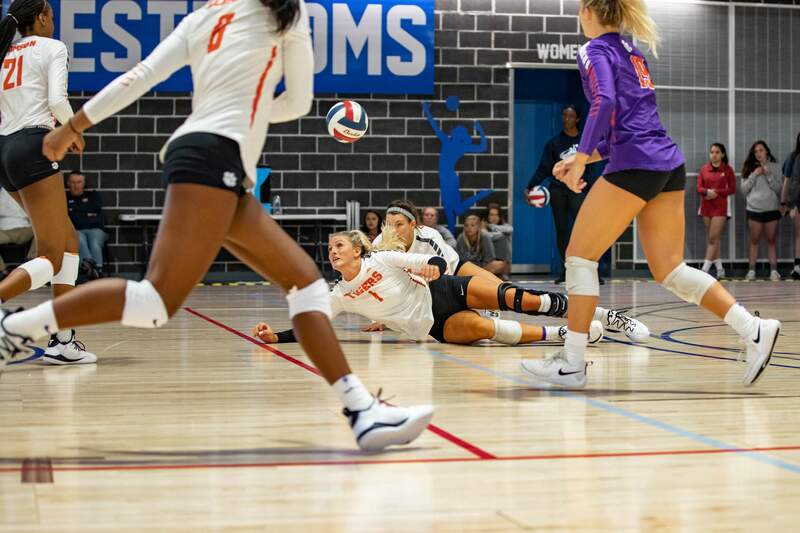 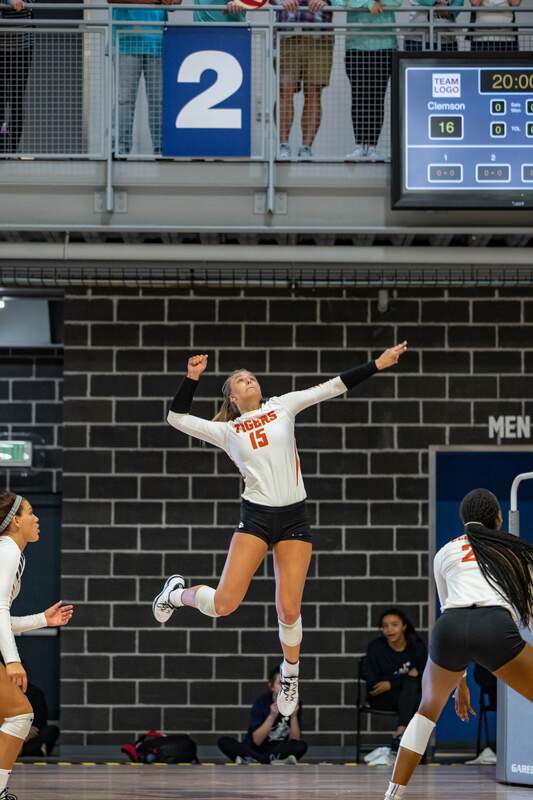 Volleyball Downs South Alabama, Auburn at Tournament in Hoover, Ala.
HOOVER, Ala. – In its second spring outing of 2019, the Clemson volleyball team went 2-1 on the day, defeating South Alabama and Auburn, at the Finley Center in Hoover, Alabama Saturday afternoon. 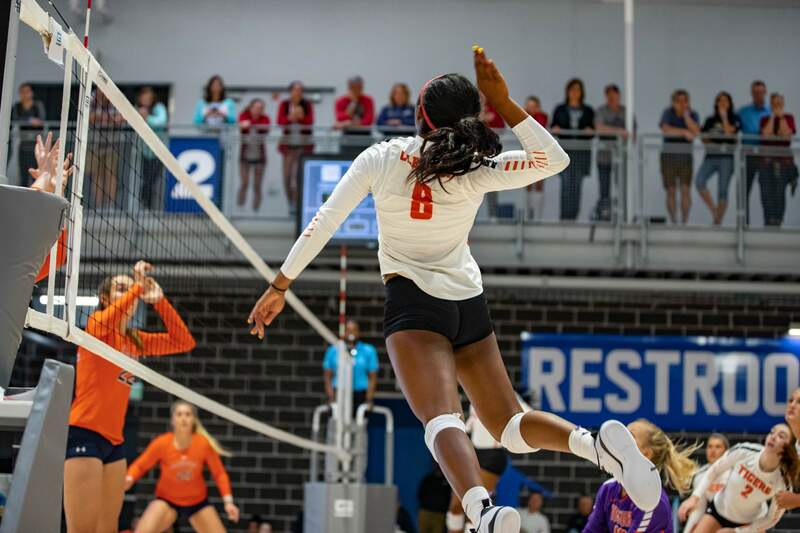 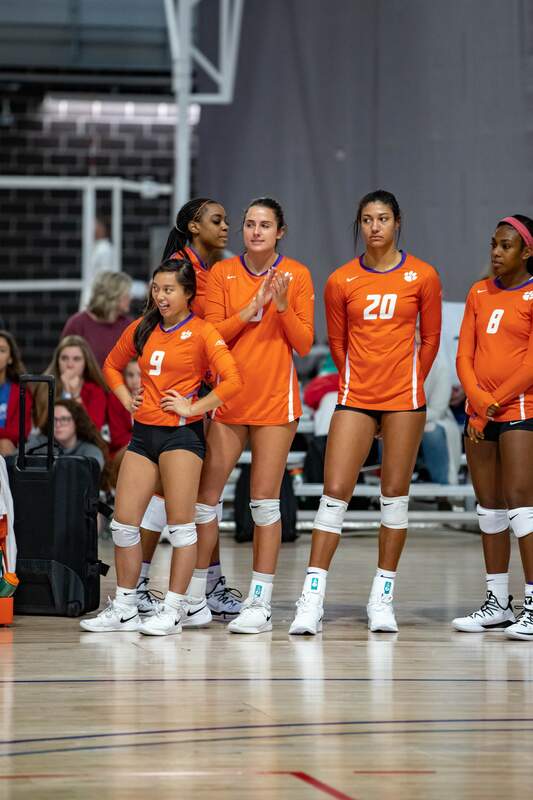 In a best of three sets format – with the third set being first to 15 points (win by two) – Clemson swept the Jaguars and came back to topple Auburn in set No. 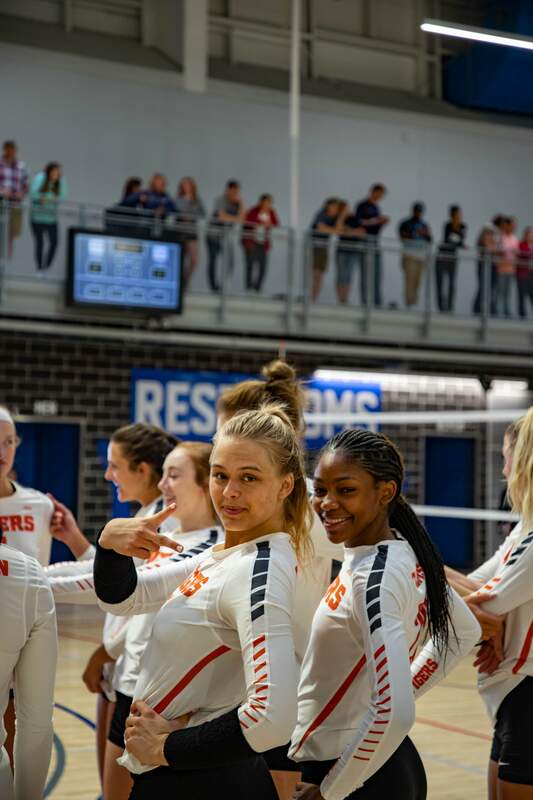 3, 16-14. 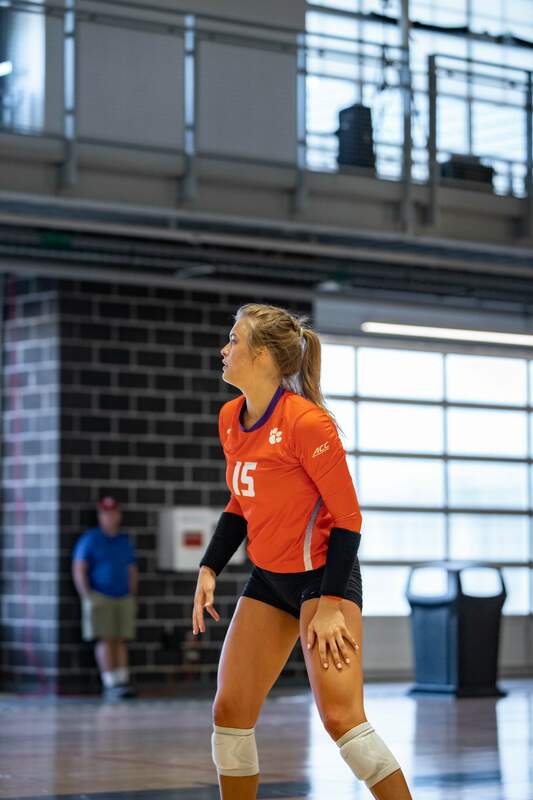 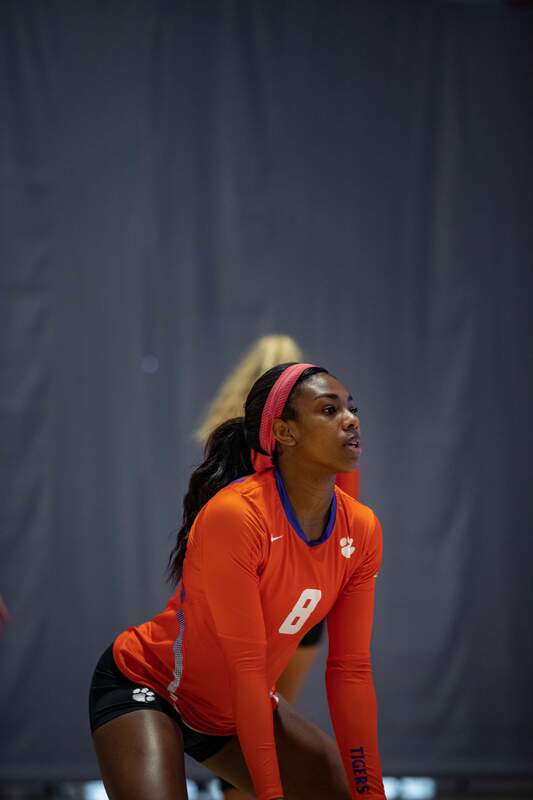 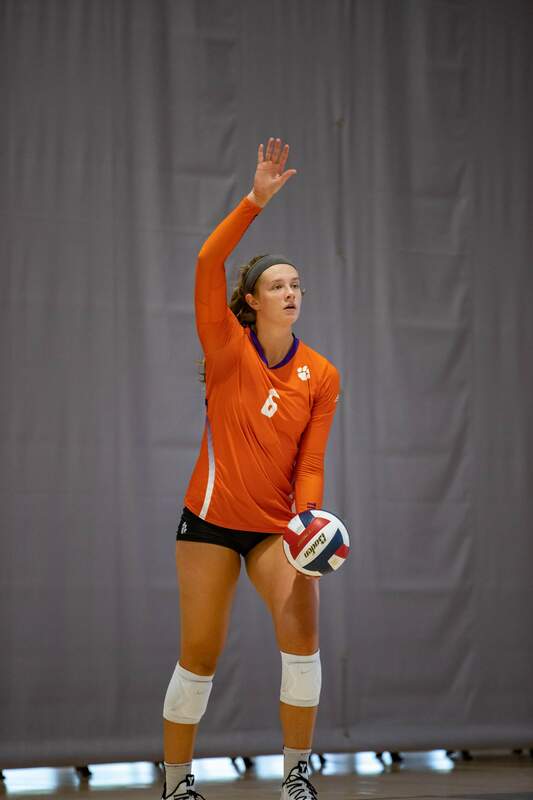 Clemson dropped its first match of the day to Alabama in two tightly-contested sets. 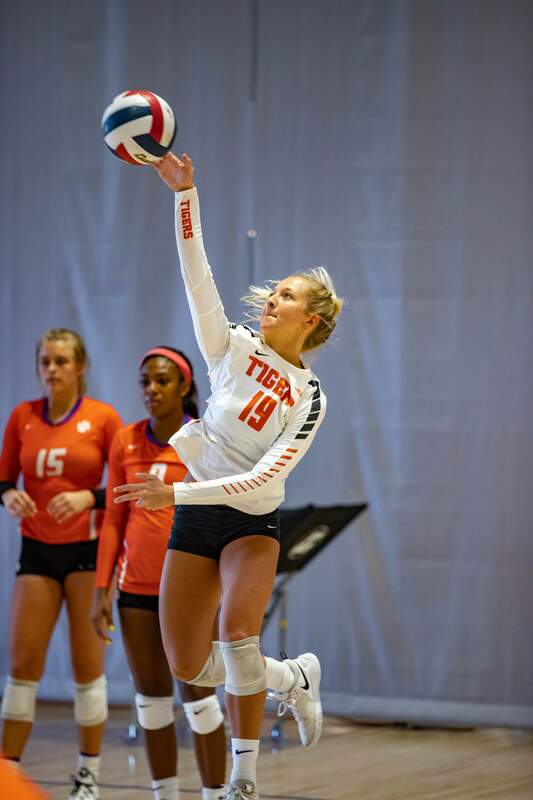 Now halfway through spring competition, the Tigers are slated to hit the road next weekend to take on Georgia Tech Saturday, April 6 in Atlanta, Georgia. 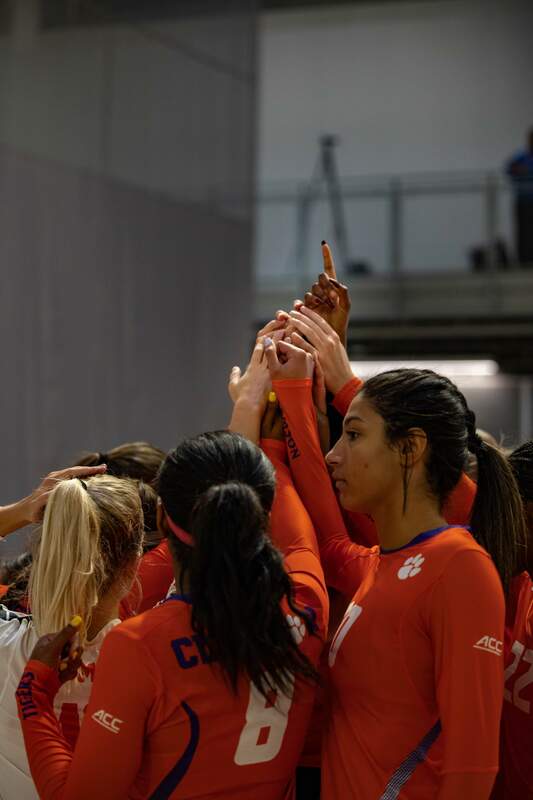 “We’re going to continue to develop our culture of Championship Behavior. 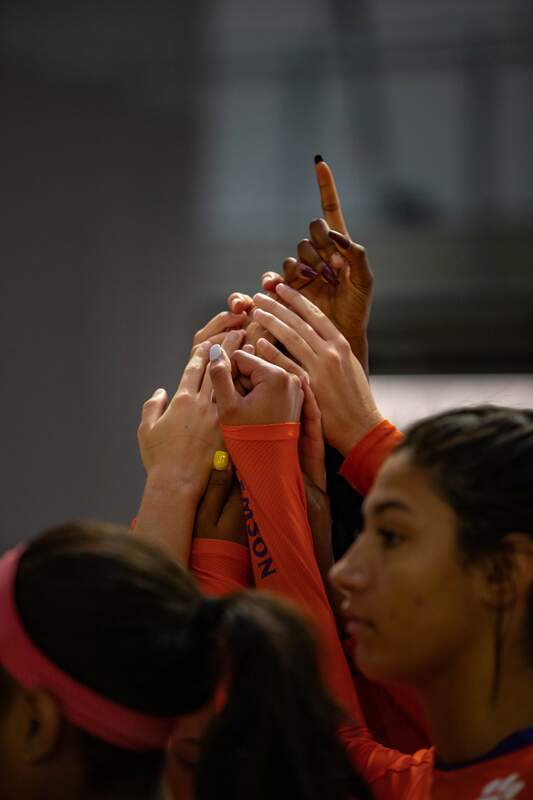 Our team chemistry and relationships have deepened tremendously. 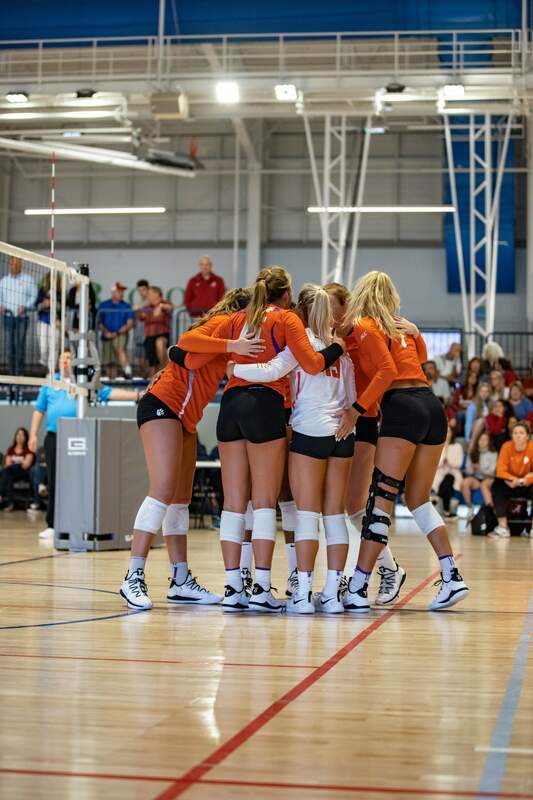 That is something that everyone has worked extremely hard on – playing for the love of one another – and it’s starting to reflect on the court.